The freehold owners of the Dulwich Hamlet grounds (King’s College) sold the site to property developers in 1990, since when the club has joined the long list of football clubs (particularly in London and not only at non-league level) falling victim to the manoeuvres of property developers. In 1992 the Council reluctantly granted permission for a Sainsbury’s superstore and car park, along with consent for a new clubhouse with health and fitness facilities, including a gym and squash courts to provide revenue to the club, which it was claimed would not survive otherwise. As part of the section 106 agreement it was agreed that Sainsbury’s would also pay for three astro-turf pitches, to be installed on the Council-owned Green Dale playing fields adjacent to the DHFC stadium. The section 106 agreement also included a restriction preventing the stadium site from being redeveloped in the future. The football stadium changed hands again in 2008 when it was bought by cypriot businessmen, the Muduroglu brothers for £1.2m. 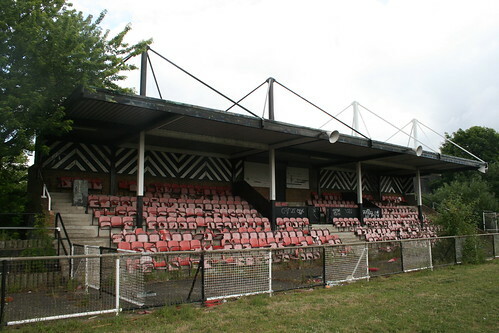 The Moroduglu brothers had previously bought up Fisher Athletic and sold its Salter Road stadium to Fairview homes for redevelopment, enabled by Southwark Council allocating land for relocation of the stadium to the nearby St Paul’s playing fields. 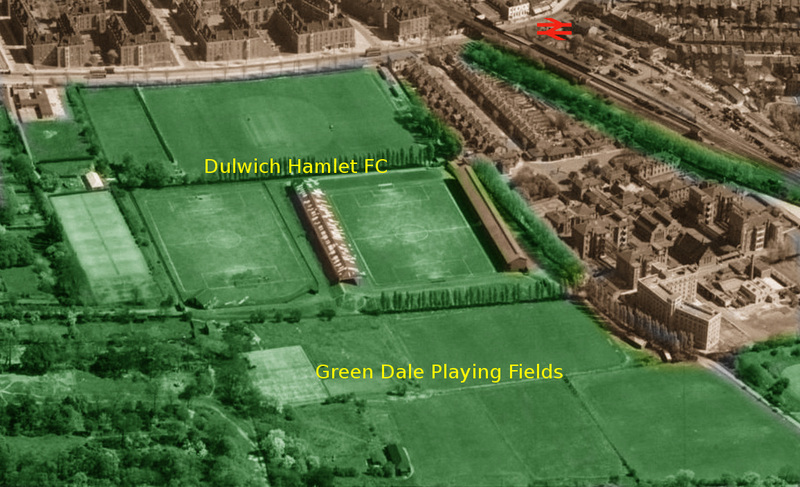 The Moroduglu brothers later tried the same maneuver with Dulwich Hamlet; in 2012 it applied to Southwark for permission to build on the Champion Hill stadium site and rebuild the stadium on the adjacent Green Dale playing fields. The application was refused on the grounds that the playing fields enjoy Metropolitan Open Land (MOL) protection. 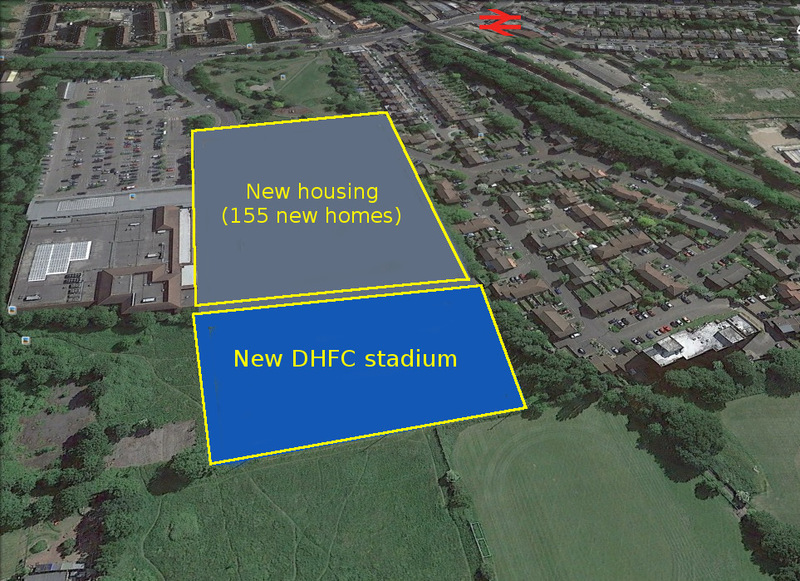 In September 2013, Dulwich Hamlet Supporters Trust succeeded in having the stadium listed as an ‘Asset of Community Value’ by Southwark Council, the first London football ground to be listed. However, in 2014 another developer (Hadley Group) bought the site (for £5.7m), and shortly afterwards Southwark removed the club’s ACV status on a legal technicality involving the Trust’s original application for listing. Hadley is owned by Hong Kong developer Peterson group, which is owned by wealthy Hong Kong business tycoons the Yeung family and used an SPV (registered on the Isle of Man) to purchase the Champion Hill site. But with its spare pitch now occupied by a Sainsbury’s superstore and car park, Hadley is faced with the small problem of having nowhere to build its 155 new homes. 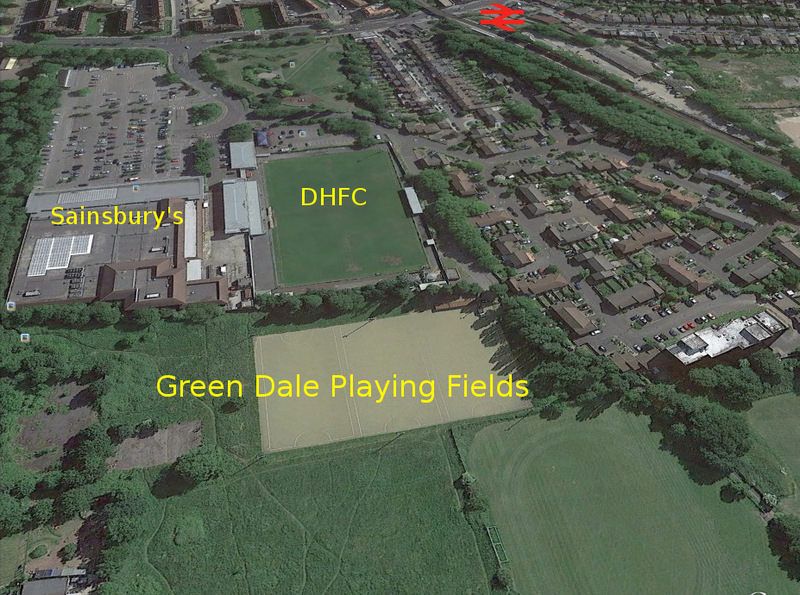 Hadley only owns the 1.9 hectare stadium and Green Dale playing fields is owned by Southwark. Hadley needs Southwark to release or sell part of this land, so the stadium can be relocated to where the Council’s astro-turf pitches are located. This has naturally met with local opposition as Green Dale is not only council-owned, publicly accessible open space, but enjoys Metropolitan Open Land (MOL) protection, although this doesn’t necessarily stop the Council from selling it and permitting its development, as has happened in the past. As well as the loss of council-owned public open space, the application provides less than half of the required amount of affordable housing - 16% when 35% is the rule. On top of this no social rented housing is proposed when it should be 70% of the affordable quota. Instead the application proposes a 16% mix of shared ownership and ‘affordable rent’ - i.e. rents of up to 80% market rent1. Hadley justifies its pitiful affordable housing offer by playing the usual viability trump card - i.e. the development cannot provide the required affordable housing and a new football stadium. This argument ignores the generous 25% profit amounting to £17.6 million that Hadley awards itself and has factored into its viability assessment. As a result of the Council’s new policy forcing viability assessments to be made public, we are able to examine the key assumptions in the viability assessment summary submitted by Hadley. The first thing that strikes us is that Hadley’s viability assessment was compiled by global property giant Savills. Savills has a long chequered history in all things viability - it was behind Lend Lease’s viability assessment for the Heygate redevelopment and is advising both Southwark and David Cameron on council estate regeneration policy. We found that Savills used the same old tricks as it used with the Heygate; as well as the excessive profit margin of 25%, they give conservative estimates of sales revenue and generous estimates of build costs. Dulwich Hamlet is also a classic example of how a pumped-up land value is used by developers to reduce viability - the higher the land value figure, the less viable the scheme and vice versa. Savills estimates that the benchmark land value of the site is £16m - £10m more than Hadley paid for the site in 2014, with the previous owners (Moroduglu brothers) having paid just £1.2m for the site in 2008. Because it is so critical, Southwark is precise about what method should be used in calculating the benchmark land value. Savills ignores this method when reaching its £16m figure and openly states “we have not given consideration to the existing use value” (or Current Use Value (CUV) in Southwark’s terminology). This development depends upon three things: Southwark granting planning permission, Southwark releasing the Green Dale land and Southwark lifting the section 106 restriction on development of the stadium site. Southwark Council leader Peter John has said publicly “I am opposed to the Hadley scheme”. We can all sympathise with the massive effort that Dulwich Hamlet supporters are putting in to saving their club. It is a great local institution, but the failure of this proposed development to meet the urgent need for affordable housing, plus the sacrifice it requires of public land should see the application rejected.